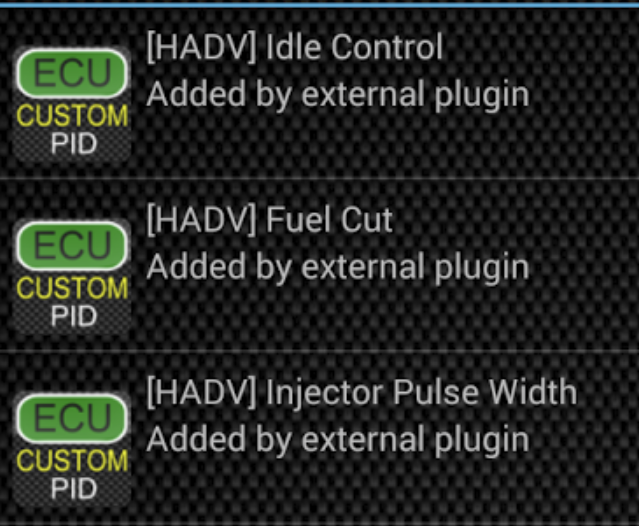 Torque » Torque OBD ECU Scanner » Torque Discussion / Ideas » What AIDI function that does this? Topic: What AIDI function that does this? What AIDI function that does this? Anybody knows how to send a PID to the main app from your plugin and make it private exactly like the pic? I tried sendPIDDataPrivateV2 and other similar functions but it still shows the equation and allows you to edit the PID. Re: What AIDI function that does this? Sorry, not got around to this yet despite trying several times! Give me a shout on ian@prowl.org and I’ll try to get the relevant infos over! Got the email thanks – sent you a reply with hopefully a helpful attachment! Page loaded in: 0.061 seconds.